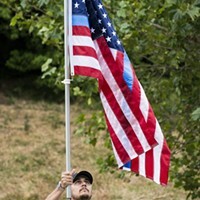 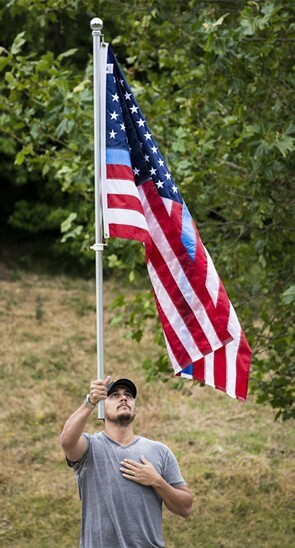 Mike Grimaldo, of Fortuna, held a flag with a blue stripe at the candlelight vigil in Fortuna on Friday evening. 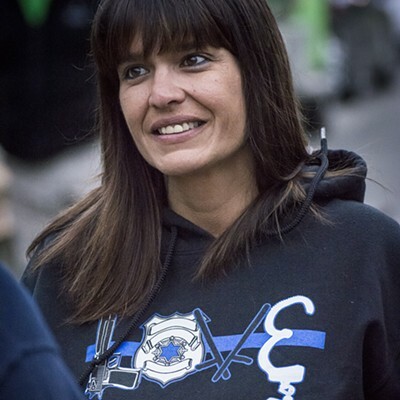 "The Thin Blue Line" is a symbol used to commemorate fallen law enforcement officers. 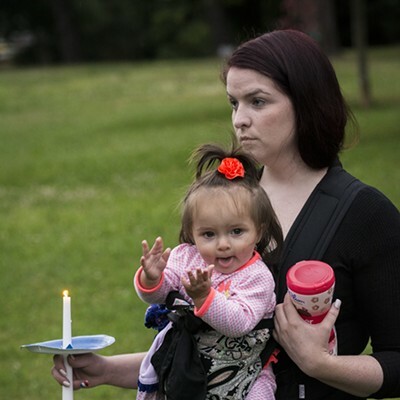 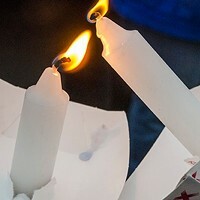 The rain held off but tears were common in the crowd of more than 200 during the Friday evening candlelight vigil in Rohner Park in Fortuna. 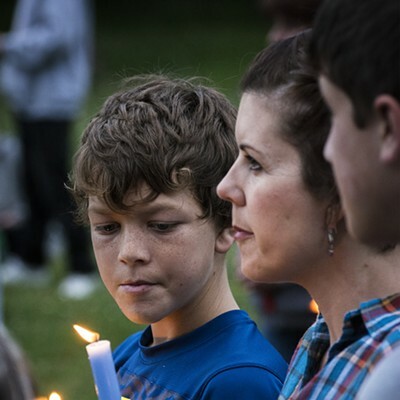 After the events in Dallas, the vigil had been quickly organized by Sandi Petersen and others of Eel Valley Crime Stoppers, as well as Humboldt County supervisors Rex Bohn and Estelle Fennell. 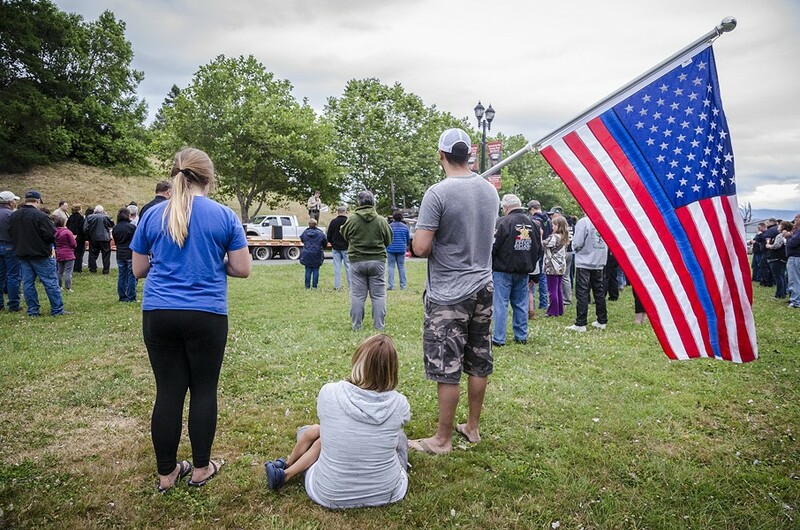 “We wanted to honor the Dallas policemen killed and injured and to show support for our local law enforcement,” said Petersen. 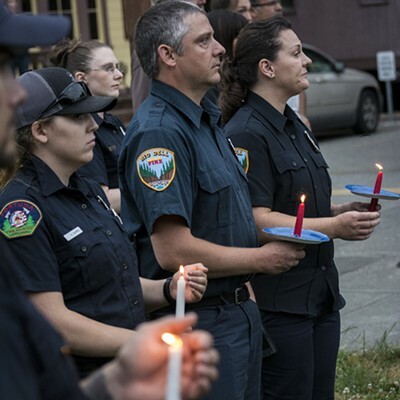 Many local law enforcement and fire department personnel attended the vigil, along with their families, friends and community members. 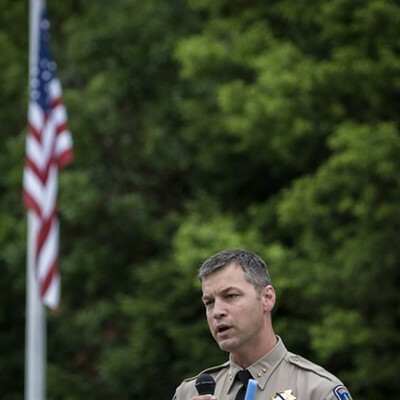 On average, 161 law enforcement personnel are killed in the line of duty each year, according to Humboldt County Undersheriff William Honsal, who led off the speakers at the vigil. 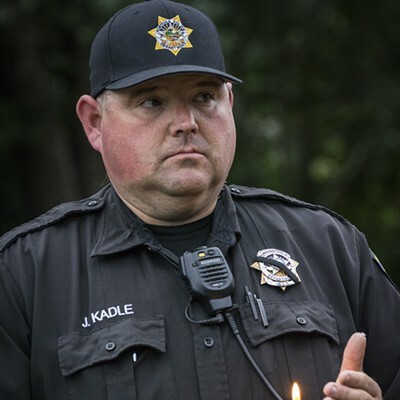 He added a moving account of the impact of the Dallas shooting on his staff and their desire to show support for their Dallas peers. 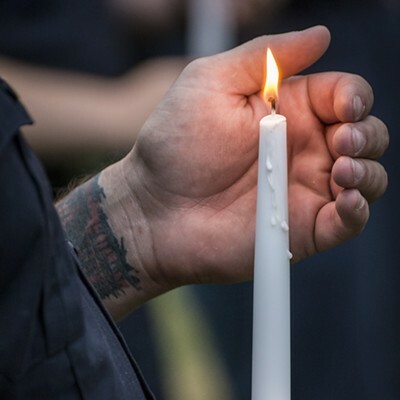 Honsal then lit the first candle in memory of those in Dallas and began sharing the flame with those in attendance. 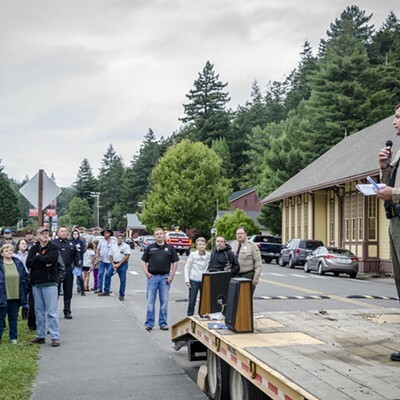 Bohn and Fennell both recounted how they had spent time Friday working with local law enforcement personnel and had observed how they were affected. 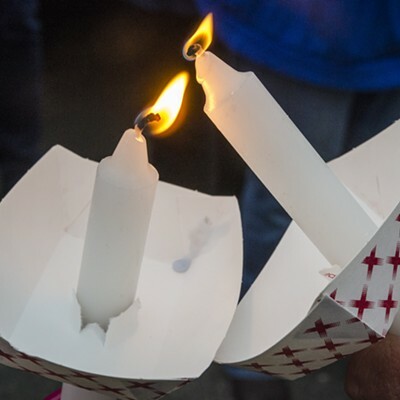 “Even so, today, I watched them treat some ne’er-do-wells with gentleness and without bias,” Fennell said.